This is a Serpent 2.5x120mm Hex Wrench. 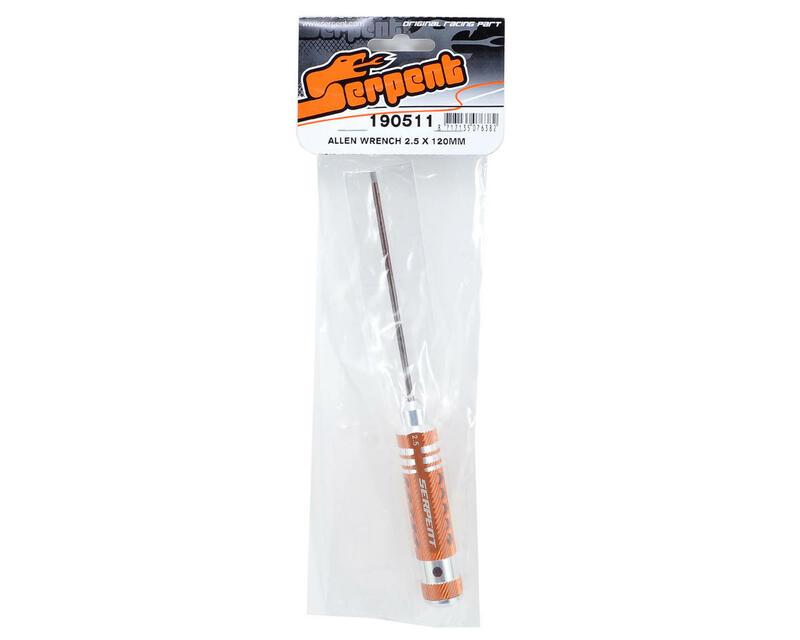 Serpent tools feature a lightweight machined aluminum handle and an engraved Serpent logo, combined with precision machined 120mm long hardened spring steel tips. The shape of the handle prevents the tool from rolling off the work bench and the size of the tip is engraved in the handle for easy identification.